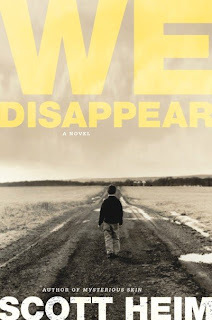 The cover of Scott Heim's new novel, We Disappear, has been created, and it's beautiful and haunting, don't you think? Since the book is not released until next year, this gives me plenty of time to mentally prepare myself for the idea of reading his novel. I think I owe it to Scott to at least think about it since, when we take road trips, he is the Thelma to my Louise (or is it the other way around?). And, indeed, the last novel I read (and finished) was Scott's Mysterious Skin, and that was 12 years ago. In the interim, I've devoured tons of new age self-help books, some sociological non-fiction, true accounts of alien encounters, various magazines, and The Ralph Wiggum Book. Nowadays, it's mostly just metaphysical texts channeled by disembodied entities. The thing about novels is this. When I return to them after putting them down, I have forgotten much of what happened in previous chapters. So reading a new chapter becomes less of a pleasurable experience and a process of discovery and more of a struggle to remember all the details and characters that I forgot. With non-fiction books, I can pick them up and get right into them because, generally, they don't require you to assimilate all the information as a whole for them to have resonance. Talking about Scott's new book, of course, begs the question of reading all the novels written by my other friends. Said novels are stacked on my floor right now. Among them are Noel Alumit's Talking to the Moon, Michael Lowenthal's Charity Girl, and John McNally's The Book of Ralph (not to be confused with The Ralph Wiggum Book). Let me tell you why you should read them. Noel Alumit has won a shitload of awards for his novels, so his fiction must be worth reading. He is also a generous figure in the literary community—bringing people together, regularly showing up to events, etc. His new novel, Talking to the Moon, is crime fiction crossed with Filipino family melodrama. Even James Ellroy (L.A. Confidential, The Black Dahlia) loves it. I saw Noel read from the beginning pages of Talking to the Moon at a book launch, and his writing is inviting and urgent. Often, Noel tries to call me up in the middle of the night to read me chapters of his book, and I scream, "Leave me alone, you dirty Filipino whore," and hang up. Michael Lowenthal is smarter than I am, and you know that means a lot that I would actually admit to that in a public forum. 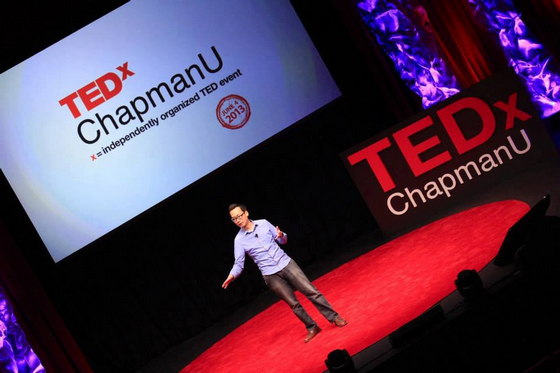 He's one of those intellectual types who trades the typical literary snobbery for sharp wit and clever self-awareness. His third novel, Charity Girl, explores a little-known chapter in American history. During World War I, 15,000 young women were incarcerated and quarantined by the U.S. government because they were found to have venereal diseases. The modern-day parallels are obvious, but the obscurity of the story is chilling. I saw him read from the book, and his writing is very vivid, demonstrating an expert sense of time and place. John McNally is a funny guy, and The Book of Ralph must be equally as funny. It's about kids who wreak havoc in Chicago. John was part of a screenwriting fellowship through The Chesterfield Writers' Film Project with me a few years ago, and, when his novel was finally shipped to him, he generously started to pass them out to the group. When he handed me my complimentary copy, I declared, "I'm never gonna read this! But thanks!" Man, I'm a prick sometimes. Okay. Which one will you read? And will you give me the Cliff's Notes version when you're done?